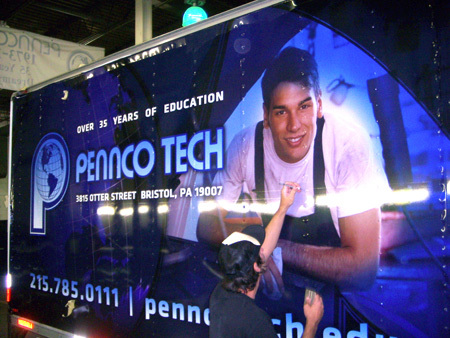 We finished a really interesting project for Pennco Tech. They came to us with a clean Box Truck which needed to be Wrapped for their marketing. Our designer came up with a unique original concept for the design. Once the design process was complete, we printed, laminated and installed at their location in one day. We offer on-site wrap installation as one of our wrap services.